The eyes of many across the world will be on the All-Ireland Hurling Final on Sunday as Galway and Waterford go into battle to claim Liam McCarthy. Both teams have not won the All-Ireland for a combined 70 years plus between them, Galway’s last title was in 1988, while Waterford’s was in 1959, so a long drought without no silverware for both sides. I have taken a look at some of the key players for the game that will have a big say on who will come out on top in this eagerly anticipated tie at Croke Park, Dublin on Sunday afternoon. 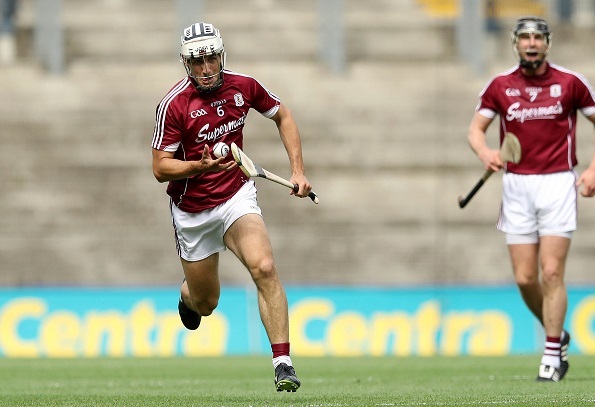 1: Joe Canning (Galway): The Portumna club man has won it all but what he hasn’t got is the coveted All-Ireland medal, if Galway are to win Canning will be a key man. In the All-Ireland semi-final he sprung to life in the final 15 minutes, hitting Galway’s last five score of the game as well as the winning point which sent Galway through to this meeting with Waterford. He should have a massive influence on the game and he is a potential hurler of the year if so. 2: Conor Whelan: (Galway): At only 20 years of age some might say Whelan is one for the future, however, he has come to prominence earlier than many probably thought. He is a shoe in for young hurler of the year no matter what happens in the final, but he like all of the Galway squad will want that All-Ireland medal. He has averaged 3 or 4 points every game so far this year so he will need to closely marked if Waterford are to come out on top here. Expect him to have a big game. 3: Jamie Barron: (Waterford): The Fourmilewater man was man of the match in the semi-final win over Cork and like Canning for Galway is another in the reckoning for hurler of the year. He will be in midfield, which will key in this game, however he will be without his normal midfield partner Conor Gleeson who is suspended. If Waterford are to win this Barron will need another performance like the one he had in the semi-final, can this happen? Yes it can! 4: Austin Gleeson (Waterford): Effectively known as Aussie in the GAA world. He has taken the GAA field by storm and at only 22 years of age has already won hurler of the year and young hurler of the year. A formidable player; his speed, tackling and aggression is what makes the Mount Sion hurler the man he is. A gent on and off the pitch Gleeson can have another big game, he may be given the task of marking Gearoid McInerney. 5: Conor Cooney: (Galway): Cooney has been outstanding this year to date. His performance against Wexford in the Leinster Final was one of the best all year in the championship. Galway will try isolate Cooney in the forward line and get a one on one with defenders. This is where the St Thomas’ man is very dangerous, a key eye for goal, a silky touch and speed is what makes him onto the list and one of Galway’s key players in winning this game. 6: Kevin Moran:(Waterford): At 30 years of age many would think Moran has been around for a long time. He is the elder statesman in the team but he has the experience of playing on All-Ireland Final day so it won’t phase him too much. A natural leader, he does his talking on the pitch. He put in a fine display in the quarter final win over Wexford and then in the semi-final win over Cork. If Waterford are to win this they will need this man to be on song. 7: Michael Walsh: (Waterford): The man known as ‘Brick’ could have a big say on how this game plans out. He will be most experienced player on the pitch on Sunday and wouldn’t it be a great way for him to bow out of the game with the All-Ireland medal he so deserves. His passion for the game is relentless, his passion for Waterford hurling is the same. No matter what happens on Sunday he will always be one of the Waterford greats. 8: Daithi Burke: (Galway): Has been key in the Galway defence this summer and has established himself as one of the best full backs in the game. A big game from Burke may see him and brothers David and Niall lift Liam McCarthy on Sunday. He is a no nonsense defender, physical and hard working. All what Galway hurling has been this year. Should have a big game. 9:Noel Connors: (Waterford): The man from Passage will need a massive game in defence for Waterford. He will be given the task of marking either Conor Cooney or Conor Whelan, two of the in form hurlers this year. Connors is a man marker, a tough competitor and a player that can get out of trouble with some tidy player when he needs to. Expect a big game from him. 10: Johnny Glynn: (Galway): Has been drafted into the side for this game having sat out the semi-final. He is powerful and physical player, has superb aerial ability and is strong running with the ball. He will more than likely have a few defenders hanging out of him but he is a very good player and can have a massive say on proceedings.